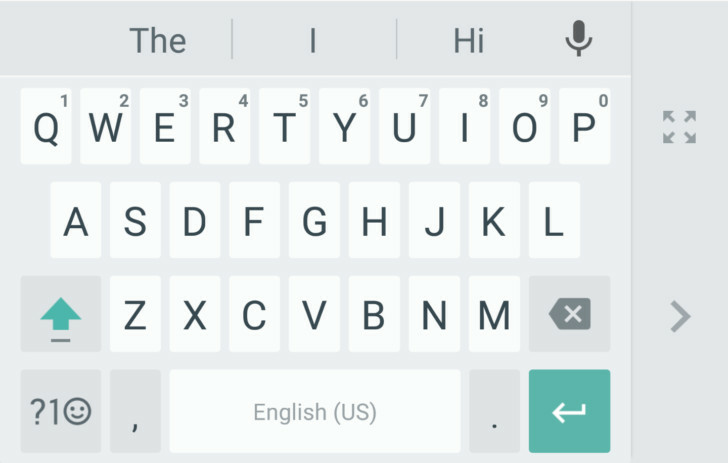 Google Keyboard for Android has received a significant update today, including a one-handed mode, some design tweaks, and the ability to resize the keyboard’s height to your own preference. First off, there’s now an option to display borders around the keys so can be more certain of which one you’re tapping. 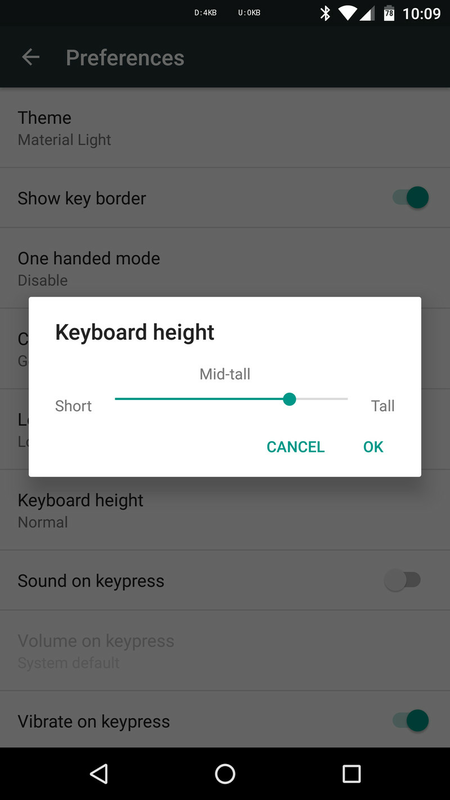 The one-handed feature lets users pick whether they want the keyboard tailored for the right or left hand, while also offering a quick way to toggle back to the full-sized version, as the below image from Android Police shows. A new number icon next to the spacebar opens up a traditional phone-style number pad that’s far easier to thumb at quickly. Users now have the choice of sharing “small snippets” of input with Google to “improve Google Keyboard for everyone.” Presumably that ties into the keyboard’s suggestions and making word prediction smarter. The keyboard’s height can now be adjusted between five different choices ranging from short to tall, with “normal” as the middle point between them. There’s more new stuff, too, like some neat gestures. For example, just tap and hold on the spacebar and move left or right to move the cursor around quickly. That sounds like Google’s answer to Apple’s handy 3D Touch cursor control — it’s also a trick we’ve seen in third-party keyboards before. You can now delete entire words instead of single characters by sliding left from the delete key. It’s a pretty fantastic update if you’re a fan of Google’s keyboard over other options on Android. And the new features come after Tecscoop reported that Google is working to bring its keyboard to iPhone. Google Keyboard 5.0 is rolling out now, but if you’re impatient, you can download the .apk directly from Android Police.